XM Group Review – Is XM Group a good forex broker? Launched back in 2009 by a team of ex-interbank dealers, XM (Formerly XEMarkets) is a globally renowned award-winning forex and CFD broker. Having its origin in the sunny island of Cyprus, in Limassol, XM offers great conditions for trading in wide range of instruments, including forex pairs, CFDs on commodities, indices, precious metals and energies. What is more, XM provides ultra-fast execution, support for well over 30 languages, as well as awesome bonuses & promotions. XM is a brokerage with solid regulation, meeting the highest regulatory standards. The XM Group is a group of regulated online brokers. It comprises Trading Point of Financial Instruments Ltd is regulated by the Cyprus Securities and Exchange Commission (CySEC 120/10), Trading Point of Financial Instruments Pty Ltd was established in 2015 and it is regulated by the Australian Securities and Investments Commission (ASIC 443670) and Trading Point of Financial Instruments UK Ltd was established in 2016 and it is regulated by the UK’s Financial Conduct Authority (FCA 705428). FCA, CySEC and ASIC are top-tier financial regulators and all brokerages licensed by one of those, have to meet certain set requirements, and are subjected to strict supervision. This means that clients of any such brokers can trade with the ease of mind that their funds are safe and their interests protected by the respective laws. 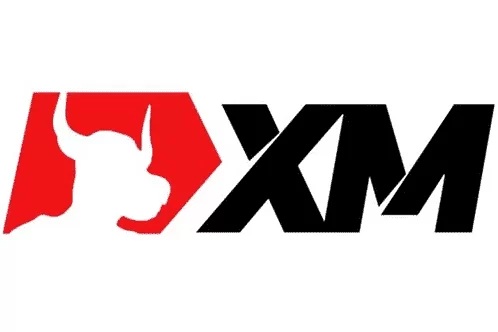 The XM family also includes XM Global, a brand owned and operated by XM Global Limited, a company established in 2017 that is licensed and regulated by the International Financial Services Commission of Belize (IFSC, No 60/354/TS/18). It operates via the website www.xmglobal.com. Additionally, each one of the XM companies listed above provides its clients with Negative Balance Protection. This means that if a client’s account balance goes into negative as a result of the fast-pacing volatile market, it still will be brought to a zero by the broker. We recommend that you choose among brokers who provide NBP, so that you may trade with the certainty that you can’t lose more money than you have invested. low-risk trading in micro lots available on all account types. Keep in mind that the trading conditions vary a bit, depending on the actual entity and the jurisdiction it operates in. This is due to XM’s commitment to complying with the laws applicable in each country. * Note that Trading Point of Financial Instruments Pty Ltd offers Ultra Low Account instead of ZERO Account with spread as low as 0.6 Pips and leverage up to 1:500. What is more, both XM Group and XM Global offer swap-free (Islamic) accounts, designated for clients who are not willing to earn interest for religious reasons. XM offers its clients two of the most popular platforms in the trading world: the industry’s standard Metatrader 4 (MT4), and its most recent version, the MetaTrader 5 (MT5). Both platforms are developed by the Russian software company MetaQuotes Software Corp, and come in all forms and shapes: desktop, web, and mobile (for iOS and Android devices). MT4 is an internationally acclaimed trading software, offering a full array of trading tools and features: more than 50 built-in technical indicators, advanced charting package, a wide range of Expert Advisors (EAs) and extensive back-testing options for them. Traders can download ready-made or create their own EAs and let the program do all the work, no human emotions involved. Also, this saves up a considerable amount of time from the routine of market watch as well as trade execution. What is more, XM provides MT4 MultiTerminal – a practical and convenient way to manage multiple accounts simultaneously from a single interface. The MetaTrader 5, on the other hand, has kept most of the highly praised features of the MT4, and has one outstanding advantage. MT5 users can trade in derivatives such as forex and CFDs, and exchange-traded stocks, from one and the same account. Also, free Virtual Private Server (VPS) hosting is offered to both new and existing clients who deposit a minimum of $5,000 and trade at least 5 round turn lots per month. VPS hosting allows the execution of orders 24 hours, 5 days a week. Signals trading is also available for XM clients. All live account holders are entitled to free and unlimited access to the trading signals hub, where they can get daily forex signals for some of the most popular financial instruments. Keep in mind that Trading bonus and Loyalty Program are not eligible for clients registered under Trading Point of Financial Instruments Ltd and Trading Point of Financial Instruments UK Ltd.
XM supports wide range of account currencies and payment methods. XM Group is accepting the most commonly used Local Payment methods today including Credit/Debit Card, Neteller, Skrill, WebMoney, Bank Wire Transfer, etc. What is more, the broker covers all deposit and withdrawal transfer fees for payments made via Neteller, Skrill and all major credit cards (including VISA, VISA Electron, MasterCard, Maestro and China UnionPay). The Forex Review 2016-07-25 XM Group Review – Is XM Group a good forex broker? Detailed information about forex broker XM: regulations, payment methods, trading platforms and trading conditions, including spreads and commission, account types, maximum leverage provided, bonuses and rebates offered. etc.